Soil-less growing has been around for thousands of years. 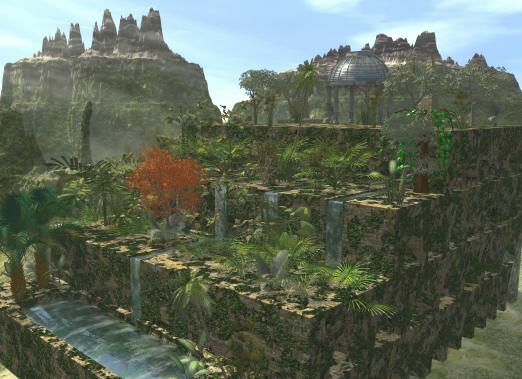 It's been theorized that the Hanging Gardens of Babylon were established with hydroponic methods around 600 BC. It's also been concluded that in the 10th and 11th century, the Aztecs used a style of hydroponic farming when they farmed on Lake Tenochtitlan. The earliest published work on growing terrestrial plants without soil was the 1627 book Sylva Sylvarum, or A Natural History, by Francis Bacon. But it wasn't until 1929 that the term hydroponics was introduced by William Frederick Gericke using a combination of the Greek words "hydro" meaning water, and "ponos" meaning labor, or working water. Not to be confused with Aeroponics which is a system where the roots are continuously kept in an environment saturated with fine drops (mist, aerosol) of nutrient solution. There's no grow medium and the growing plants have their roots suspended in a deep air or growth chamber. Or with Aquaponics which utilizes live fish as a healthy source of nutrients for the growing plants. Hydroponic grow systems have two basic categories: water culture (the plant roots grow in a nutrient solution) or inert system (the plant roots grow into a medium). In the inert system, the plant roots are suspended in a medium of choice: rockwool, clay pellets, growstones, coco coir, rice husks, perlite, vermiculite, pumice and sand. Another consideration is the grow technique – there's static and continuous-flow, and there's sub-irrigation as well as top-irrigation. It's a vessel on top of a reservoir, with wicks connecting the two. The nutrient solution is drawn from the reservoir to the vessel by means of wicks. Containers are placed on top of a medium that's contained in a drain table with a reservoir underneath. A nutrient solution is pumped into the table. The holes in the containers draw the solution up. After a few minutes, the reservoir is drained. It's about the bubbles. Plants are grown in plastic net pots suspended in an oxygenated nutrient solution; the roots dangle in the solution. An aerator provides oxygen to the solution. The nutrient solution is kept in a reservoir and pumped through tubing to the bottoms of potted plants. Excess solution is released through the holes in the bottom of the pots and returned to the reservoir. This process is completed a couple of times a day. This is a constant flow, the solution is pumped from a reservoir into the growing tray. The growing tray requires no growing medium. The roots draw up the nutrients from the flowing solution. The downward flow pours back into the reservoir to be recycled again. The organic solution that feeds the plants is of course highly important. We have some basic recipes that we've mixed that work great or we can mix a special solution just for you. We carry a wide variety of macronutrients – bloodmeal, bonemeal, fishmeal, wood ash (biochar), cottonseed meal, kelp meal, liquid seaweed, a variety of manures, bat guano and bird guano – most in bulk sizes. We also carry Gypsum and Calcite which should help to satisfy the micronutrient requirements. As well DaKine 420's top notch hydroponics supplies of organic coco coir varieties and nitro nutrients. Hydroponic plants tend to grow faster because their roots are dipped directly into the nutrient-rich solution, so they get what they need much more easily than plants growing in soil. They have a smaller root system thereby diverting more of their energy into leaf and stem growth. Hydroponics production systems are gaining much more interest worldwide due to the fact that it answers two of the world's growing concerns – diminishing soil availability and quality, and water scarcity. As a soil-less, water-conserving and high-density production technique, hydroponics also addresses food safety concerns that have become attached to traditional agriculture systems. The use of pesticides and metal contaminants in soils are significantly more manageable (or removed) in a hydroponics system. 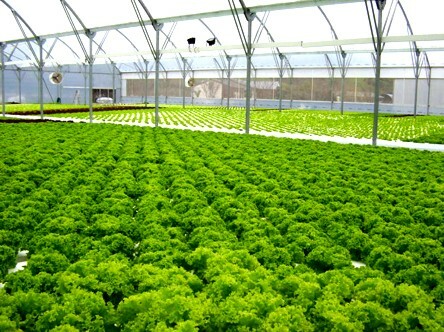 Hydroponics are used in a variety of industries to include commercial farming of fruits and vegetables, cannabis crops, nurseries and home-based gardeners.